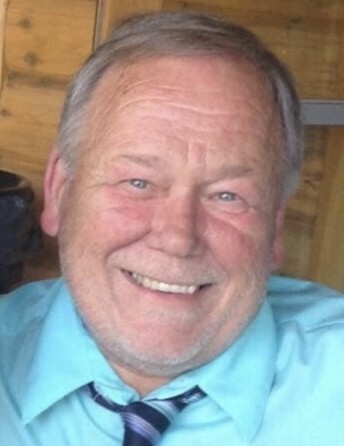 Jack E. Wogsland, age 66, Ashwaubenon, passed away Thursday, February 7, 2019. He was born June 17, 1952 in Green Bay to the late Harry and Shirley (Strand) Wogsland. Jack had a 44 year road service career at Paper Converting. He enjoyed fishing, hunting, pontooning, spending time at the cottage on Moody Lake, classic cars and a nice whiskey old fashion. He took pride in maintaining his pool, yard and the home he shared with Sandy. Jack is survived by his fiancé, Sandy Kozicki, the love of his life, for over 17 years; her children Alaina Kozicki and Karrie (Jeremy) Ouellette with their children Brooke and Kailey Ouellette. He is further survived by his sister Gail (Randy) Halbach and their daughter Tonya (Troy) Rienaking. Jack’s children Kyle Wogsland and family, Nathan (Jessica) Wogsland and family, Libby (Pat) Wetzel and family. Sandy’s family Jerry Vomastic, Randy Vomastic, Diane and Larry Banaszynski, Marcia and Blair Dudek, Rick and Julie Vomastic, and his best friend Roy Parins. In addition to his parents, Harry and Shirley Wogsland, Jack is preceded in death by his brother, Gary Wogsland and niece, Trisha Woveras. Visitation for Jack will be Sunday, February 10, 2019, from 1:00 p.m. until the time of the funeral service at 3:00 p.m. at Lyndahl Funeral Home, 1350 Lombardi Avenue. Expressions of sympathy, memories and photos may be shared with Jack’s family on his tribute page at www.lyndahl.com. The family would like to extend a special thank you to St. Vincent Hospital ICU and 7th floor nurses/physicians, especially Dr. Sora, for their care and concern for Jack. In lieu of flowers, please donate to Children’s Hospital of Madison or the Ronald McDonald House.